Swindon Town have re-signed Derby County defender Josh Lelan on a new one-month loan deal. The 19-year-old joined Mark Cooper's side on a one-month loan in July, making two appearances for the club. 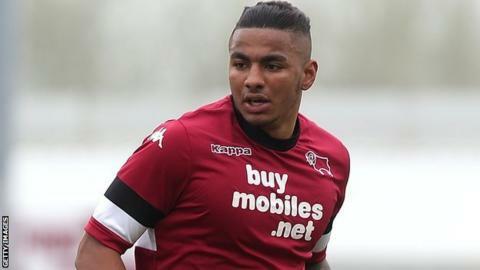 Earlier this week, Cooper told BBC Wiltshire that Lelan had returned to Pride Park, but a new deal has now been agreed between the Robins and the Rams. Swindon currently lie sixth in League One, having won two and drawn one of their first four league matches. Lelan was loaned out to Conference side Gateshead last season.